John 8: 32 And you shall know the truth, and the truth shall make you free. John 14: 6 Jesus said to him, I am the way, the truth, and the life: no man comes to the Father, but by me. Before I go any further, let me invite you to watch me on YouTube on this topic of John 8:32 and the surrounding verses in context. You will find much more in depth teaching. There is great comfort for me in these verses that Jesus spoke. In a world of uncertainty it gives me comfort. 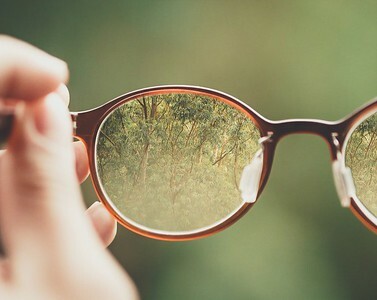 In fact when all truth is taught as relative, I remind myself that the only filter, the only lens my world needs is the lens of the Word of God. In the day and age we live in, our educational institutions are indoctrinating our students to believe that Truth is Relative. It is considered to be “highly evolved thinking” to accept this. Indeed, to not be able to agree seems to imply that you are “narrow minded, un-evolved, unable to grasp reality, unintelligent, immature, ignorant, uneducated” and a few other things. So, to go along with the program, and not appear an ignoramus, all university students and graduates, along with their professors agree. We are asked to believe Truth is not concrete, and therefore in the name of Tolerance and Political Correctness we must all accept that we can be different, think differently, have our own version of truth, but be amenable. In doing so, we do in fact render Truth to be irrelevant! Huh??!! And how exactly would anyone be sure of what THE truth is?? I know full well that our Nation’s Laws were based on Judeo-Christian Principles. Due to that foundation, any Law Court requires evidence before pronouncing you guilty or innocent. Yet, millions of us have arbitrarily decided to be jurors, and by watching our television screens, being fed by media pundits telling us their version of truth (never mind the evidence or lack of it), based upon emotion alone, we are ready to hand in a verdict that would be life changing not just for the two parties in question, but the Nation. We then do not have a nation that espouses Law and Order, we have devolved into a nation of mob-rule, where the loudest voices get to decide THE truth, sans evidence. Perhaps a reminder at this time is necessary: we are not a Democratic nation but a Republic. We do not rule by mob decisions, we rule by electing Representatives. The Law is not based on emotion, rather it is based on evidence. Lady justice has a blindfold so as not to tip the scales unfairly in anyone’s favor, rather to let the scale tip based on evidence, and every case must be proven beyond a reasonable doubt. This is just the most current and most noted example of a Nation’s lack of grasp of the Truth as Jesus taught it. Deuteronomy 19: 15 A lone witness is not sufficient to establish any wrongdoing or sin against a man, regardless of what offense he may have committed. A matter must be established by the testimony of two or three witnesses.16 If a false witness testifies against someone, accusing him of a crime, 17 both parties to the dispute must stand in the presence of the LORD, before the priests and judges who are in office at that time. 18 The judges shall investigate thoroughly, and if the witness is proven to be a liar who has falsely accused his brother, 19 you must do to him as he intended to do to his brother. Please make sure you understand from verses 18 and 19 that God’s punishment for perjury was not a wink and a nod, but much worse. This is repeated in the the New Testament. Matthew 18: 15 If your brother sins against you, go and confront him privately. If he listens to you, you have won your brother over. 16 But if he will not listen, take one or two others along, so that ‘every matter may be established by the testimony of two or three witnesses.’ 17 If he refuses to listen to them, tell it to the church. And if he refuses to listen even to the church, regard him as you would a pagan or a tax collector. Hebrews 13: 8 Jesus Christ the same yesterday, and to day, and for ever. 9 Be not carried about with divers and strange doctrines. Qs: So, 2+2 can be 5? Ans: Sure, if you think it is. Qs. : If I say it is midnight when it is afternoon, will that be true? Ans: Why not, if you see it as that then it is. Are you scratching your head in puzzlement?! I did!! I must admit, the world in the last decade has changed more than it changed in my lifetime. Now, I know I can expect this to continue to escalate in terms of Bible prophesy. I teach frequently on Prophesy and End Times, so I love studying it in light of Current Events, Politics and of History as well. I am aware that things will change . . . and not for the better. My problem is, how to live peaceably in a world that insists on “tolerance” but doesn’t “tolerate” what I believe. Interestingly, there is a lot of relativity that is very acceptable to me. I can be very fluid and tolerate a lot of things I do not agree with. However, those things that are fluid, though tolerable, are not what I call unalterable TRUTH! As a counselor, I became accustomed to dealing with fluidity in feelings. Your feelings can be true to you! Example: Husband beats and abuses wife for years, but she comes to believe that it is her fault. She is responsible for everything that angers him. He says so, and so she believes it. not true, but it is what she believes to be true. I can assure you it takes a lot for a therapist to bring the woman to see the unchangeable truth that she is a VICTIM. Example: A child has been sexually abused for many years by her father. Her reality is that it is “normal.” She is told “all daddies do it.” She believes it. It is her truth, but is it THE truth? This scars her for life but even when she is told the TRUTH, she wants nothing to do with it at first. Her “truth” is safer than the new truth. Should she be left alone in her truth? After all, if all is relative, then her truth prevails and my Truth is irrelevant . . . isn’t it? In a culture that is today uneducated in the Way of God, it is easy to allow the values of this world to dictate morality and correctness. Truth becomes irrelevant. If it feels good, do it! If it feels right for you, then it is right for you. Words like tolerance are thrown around, and “political correctness” becomes the measure of a person. No longer are we measured by honesty, integrity, honor, rather by being politically correct and tolerant. I am tired of being politically correct! In fact I am determined not to be politically correct! The way I see it, “politically correct” is a phrase made up and promoted, even marketed and imposed upon a culture that thrives on ignorance. I do not know who came up with the term, but the operative word in politically correct is Political. Separate the two for a moment and think. can you be correct without being political? Yes! Why not be all about correctness, that is, being true, instead of being Political? Truth, God’s truth is the measure of all that is in this world. I choose to measure ALL truth in His light and against His Word. I accept fully that I may not understand a lot of things, but I will always argue in favor of God’s Word and never against it. 1 Corinthian 13:12 For now we see through a glass, darkly; but then face to face: now I know in part; but then shall I know even as also I am known. That may seem intolerant to many, but here is “my truth:” I can afford to be without man’s favor; but I cannot live without God’s favor. Previous Post Go, Tell Them! Next Post Me Too! He Too! !